This entry was posted in Academic achievements, Students and tagged Honors College, Mitchell Scholarship on November 17, 2012 by Wire Eagle. AUBURN UNIVERSITY – Auburn University senior Marian Royston has been awarded one of the nation’s most selective fellowships, the Mitchell Scholarship, to study in Northern Ireland next year, announced Saturday by the U.S.-Ireland Alliance. Royston, of Roanoke, Ala., will pursue a master’s degree in leadership for sustainable rural development at Queens University Belfast in Northern Ireland. She is an Auburn Honors College student majoring in history and double-minoring in political science and community and civic engagement in the College of Liberal Arts. She becomes Auburn’s first recipient in the Mitchell Scholars Program, which began in 2000. “Marian is an excellent student and will represent Auburn well in her overseas studies,” Auburn President Jay Gogue said. The program, named to honor former U.S. Sen. George Mitchell’s contribution to the Northern Ireland peace process, is sponsored by the U.S.-Ireland Alliance to introduce future American leaders to the island of Ireland. Only 12 students in the U.S. are selected annually for the fellowship that is based on scholarship, leadership and a commitment to community and public service. This entry was posted in Academic achievements, Academics, Students and tagged Honors College, Mitchell Scholarship on November 1, 2012 by Wire Eagle. AUBURN UNIVERSITY –Auburn University senior Marian Royston has been named a finalist for one of the nation’s most selective fellowships, the Mitchell Scholarship, to study in Ireland or Northern Ireland next year. Royston, of Roanoke, Ala., is an Honors College student majoring in history and double-minoring in political science and community and civic engagement in the College of Liberal Arts. 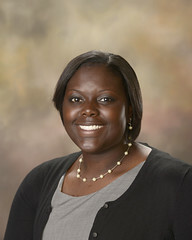 She is Auburn University’s first finalist in the Mitchell Scholars Program, which began in 2000. Royston will travel to Washington, D.C., Nov. 16-17 to interview with program officials for possible selection as a recipient.